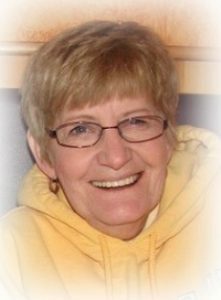 Susan D. Bauer, 75, of Port Washington, WI died December 18, 2018 at her home. She was born November 3, 1943 in Milwaukee, WI to Alvin and Dorothy Walsh Voigt. Growing up she attended local schools and graduated from Brookfield Central High School. She married John W. Knebel in Milwaukee on March 26, 1966 and started a family. He preceded her in death October 31, 1986. Through the years Susan lived in Milwaukee, WI, Knoxville, TN and Atlanta, GA before settling in Port Washington, WI in June of 1995. She worked as an administrative assistant in various insurance and real estate offices, holding insurance and real estate licenses. She married John J. Bauer on January 20, 1996 in Port Washington. Together they enjoyed camping around the state and were members of the West Bend Kettle Kampers Chapter of the Wisconsin Camping Association. She enjoyed tracing geneology, making digital scrapbooks for family and friends and being a very social person. Susan is survived by her husband John Bauer of Port Washington, WI and children Rhonda (Mike) Wells of Turtletown, TN, John (Glennette) Knebel of Dallas, GA and Lee Bauer of Greendale, WI. Further survived by grandchildren Rebecca Wells and Casey Rohman, nieces, nephews, other relatives and friends. She is preceded in death by her first husband John Knebel and 2 brothers Donald and Paul Voigt. Funeral services will be held at 11AM on Saturday, December 22, 2018 at Portview Church, 3457 County LL, Port Washington, WI. Visitation 10 – 11 am Saturday at church prior to the service. Interment Pinelawn Memorial Park, Milwaukee, WI. Memorials to Ozaukee Christian School (341 S. Dries Street, Saukville, WI 53080) or Humane Society of donor’s choosing. John, as you most definitely know, Susan was a very caring, devoted and reliable person. My family really appreciated her unwavering commitment to all the people she touched while working with us over the years. Her keen insights and take charge work ethics were really tremendous tributes to the type of person Susan was. I know we will all miss her very much, but fortunately we were left with so many fond memories to help keep her wonderful spirit alive and well. We will miss Susan but we will not forget her. Which I still love to this day. upon you & give you peace. Don’t be sad cause it’s over – be happy cause it happened. You are so blessed to have had her for such a long time. John, I am so sorry for your loss, my thoughts and prayers go out to and your family during this difficult time. Herb & Audrey Davies The Villages, Fl. I loved Susan’s laugh. I will miss having wonderful talks about the Lord with her. She was such a good neighbor; she watched out for packages being delivered to our house. She would quickly take them back to her house for safekeeping. She had a soft, tender spirit and deep heart to serve others. Mama Sue, you are my second mom!!! You raised a bunch of neighborhood boys!! We all love you and miss you!!! Susan it has been a pleasure to know you these past 65 years. You will be missed when ever we get together to play Sheepshead or to just visit old friends. Thank you for being my mother, mentor and friend throughout my lifetime. I will see you again someday. Susan, my second Mom, I will miss you terribly. Thank you for the 24 years, all the chats and all the help. Eternal hugs forever.